Geomet Plated Kinmar Permanent Nut. The ultimate high security patented one-way nut. This patented permanent nut requires a matching driver socket for installation giving you guaranteed torque levels and can be re-torqued if required. Not governed by shear point and leaving no unplated surfaces, it leaves a clean smart finish. 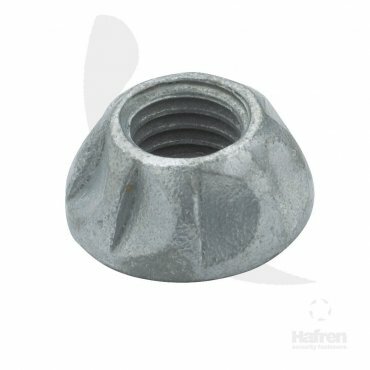 This patented permanent nut requires a matching driver socket for installation giving you guaranteed torque levels and can be re-torqued if required. Not governed by shear point and leaving no unplated surfaces, it leaves a clean smart finish.